Keep your most prized charmed close to your heart with this sterling silver personalized charm holder created from Courtney Marie's original design. 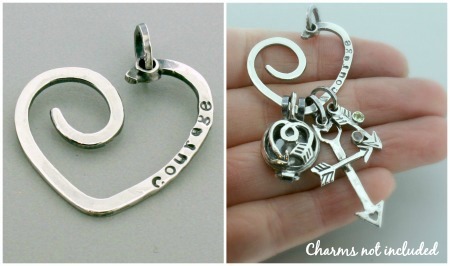 Your charm holder will be hand stamped with your choice of words, names or dates. Don't want it personalized? Check out this listing!